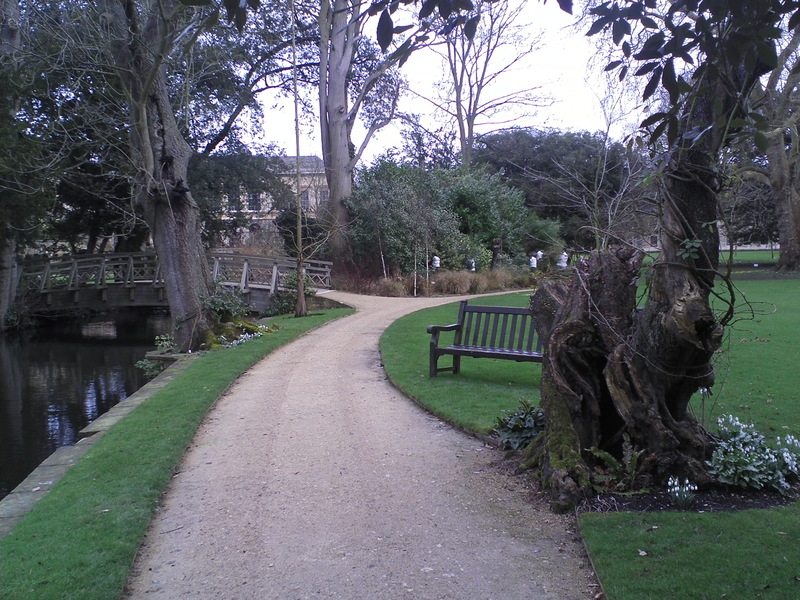 After strolling through Worcester College gardens I inquired after the gardener, Kieron Smith and was told that he could be found in the orchard. I found a number of gardeners in an apple orchard. They were watching an instructor, Chris Lanczak, Orchard Manager of Waterperrry Gardens, demonstrate his technique of pruning the apple trees (see the 3 February 2014 entry in the gardeners’ blog: http://wocogaga.blogspot.co.uk/ ). Kieron was pointed out to me and he agreed to participate in the project. He talked to me a bit about the garden and about the snowdrops I had seen in flower. I learned that a snowdrop’s seeds have appendages that contain a substance that is attractive to ants, who help with seed dispersal. For the project I received a yellow and black Staedtler pencil Kieron had used to take notes and I was sent to locate a meadow-man at Christ Church meadow.